The Sub-working group on claims prepared the Technical document on cosmetic claims, which was endorsed by the Working group on cosmetic products. This is not a European Commission document and its views are not legally binding. This document does serve as a useful tool when deciding which claims can or can’t be made in regards to the cosmetic products on the EU market. 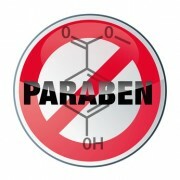 In case claims in relation to the absence of ingredients are made in relation to functional groups of ingredients that are defined in Regulation (EC) No 1223/2009, such as preservatives and colorants, the product should not contain any ingredient that belongs to the group as defined in this Regulation. Claiming free from an ingredient that’s banned anyway is not allowed. Any kind of free from claim has to be supported. Free from claims or claims with similar meaning should not be allowed when they imply guaranteed properties of the product, based on the absence of (an) ingredient(s), which cannot be given. Claiming free from ingredient which is typically not used in that kind of cosmetic products (so none or almost none of the products in that cosmetic product category contains it) is not allowed. Free from claims or claims with similar meaning addressing functional groups of ingredients should not be allowed if the product contains ingredients with multiple functions and among these is the function that the product is claimed to be free from. Free from claims are not allowed when they imply a denigrating message about a legally used ingredient (example: free from parabens). Without claims can be allowed if they allow an informed choice to a specific target group or groups of end users (such as free from alcohol in a mouthwash; free from animal derived ingredients in products intended for vegans; free from acetone in nail polish for users wishing to avoid its smell). For which relevant data on their sensitizing potential are missing. The use of the claim “hypoallergenic” does not guarantee a complete absence of risk of an allergic reaction and the product should not give the impression that it does.